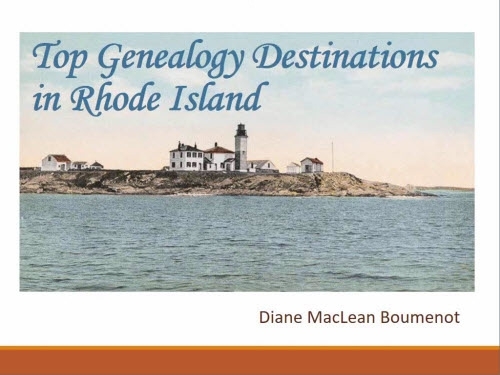 With the appearance of my new MacLean page on my blog, my daughter asked me why I didn’t have trees clearly showing all the relatives. She said lists were hard to follow. The surprising part of that conversation, of course, is that we were discussing genealogy at all. That doesn’t often happen. The more I thought about it, the more sense it made to put up, in picture form, images of large segments of my tree, so that the connections and family names could be seen in their proper context. My text can be complicated and, well, there’s nothing like a picture. Here is my tree, with some speculative segments removed, back about 10 or 11 generations, where possible, although they often go farther. 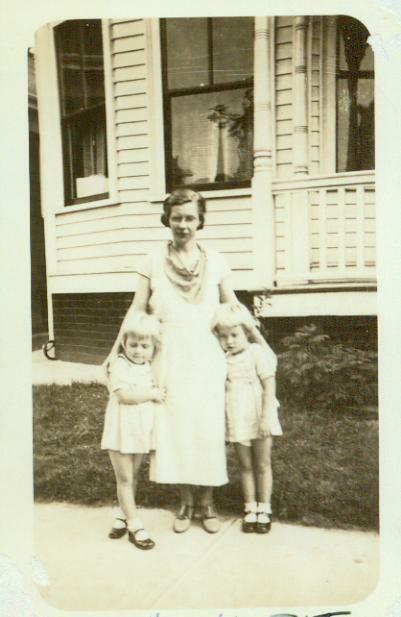 Edna May Darling Baldwin with her twins, Ann and Pat, around 1937. Grandma sewed quite a bit, and may have made those clothes. My mother’s parents are Miles Edward Baldwin (1893-1979) and Edna May Darling (1905-1999). My mother’s grandparents are below, with a pdf of each tree next to the name. These are large pdf’s and will take a minute to open. The trees just contain names and dates, for the curious – no sources, so they are not useful for research or as proof of relationships. 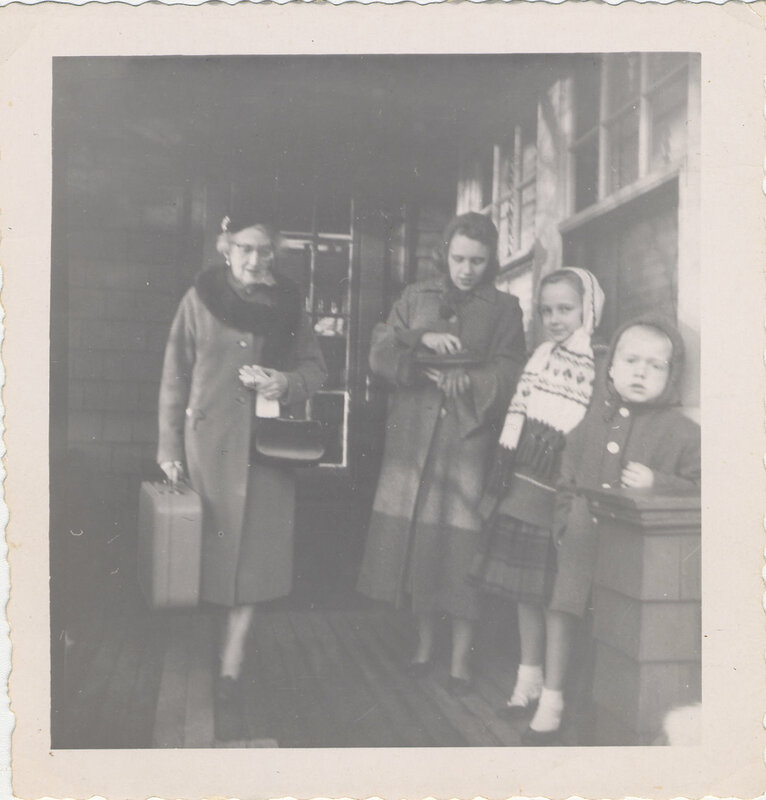 Josie MacLeod MacLean, with suitcase, with my mother, my sister Bonnie and my brother Jay, around 1958. 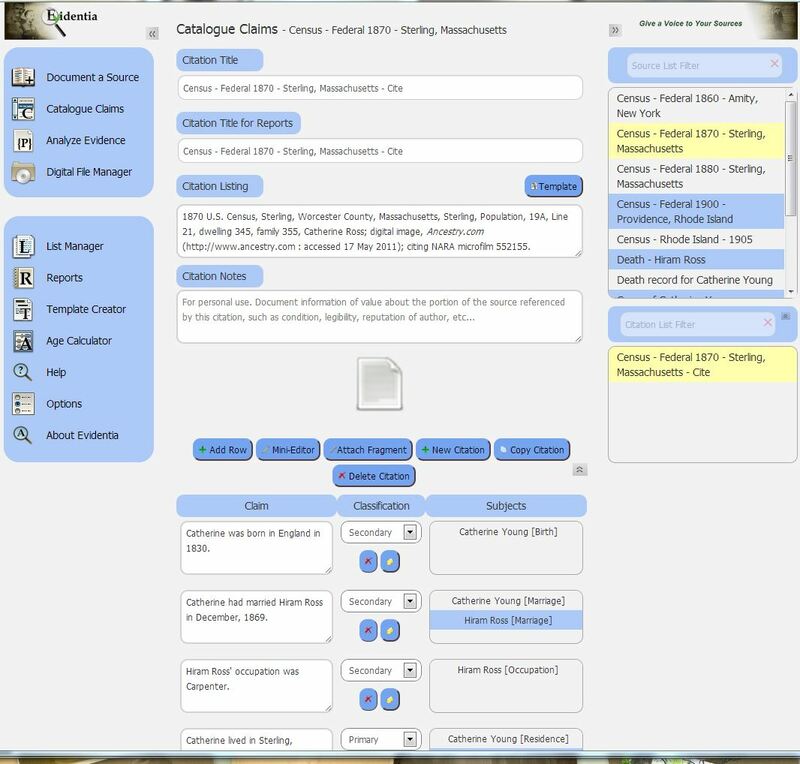 These trees were quite simple to make with Family Tree Maker, using Publish – Pedigree Chart – Layout: Poster, Overlap: Fishtail, Generations: 8, with specifications for Items to include and Line styles. I colored male and females differently using the symbol for Box Borders and Line Options. After opening that up, the “Boxes” list allows you to make choices about various types of data. To get the generation labels, I clicked the box in the list that appears towards the bottom of the Pedigree Chart Options section. When all is ready, the “Share” button allows you to export as a single page pdf. I saved the style as a custom template so I can easily remake these from time to time. They will also live on my Family Names page, which gets a lot of views. I don’t think about this often enough, but a beautiful rendition of a family tree is something I really like, and haven’t done much with. I need to take a closer look at Family Chart Masters when they come to NERGC in April. 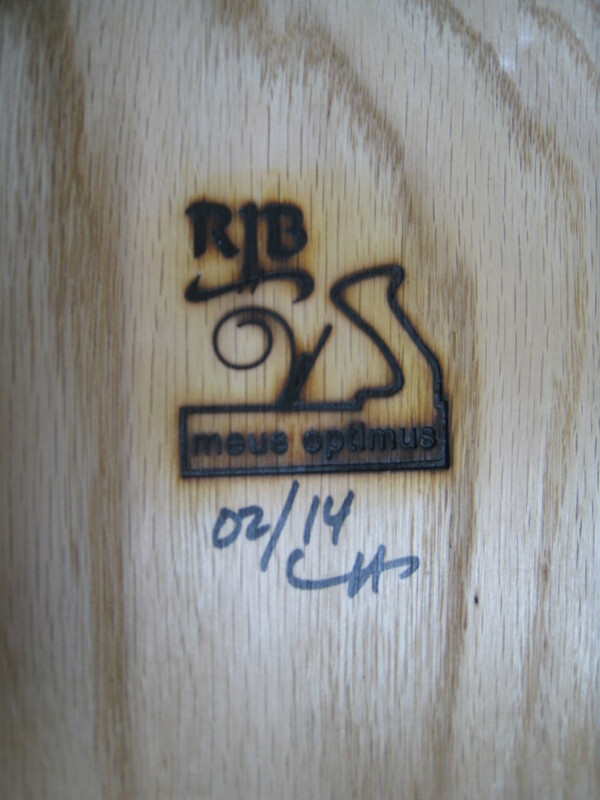 Their work is beautiful and they can customize just for you. A Providence door-yard. 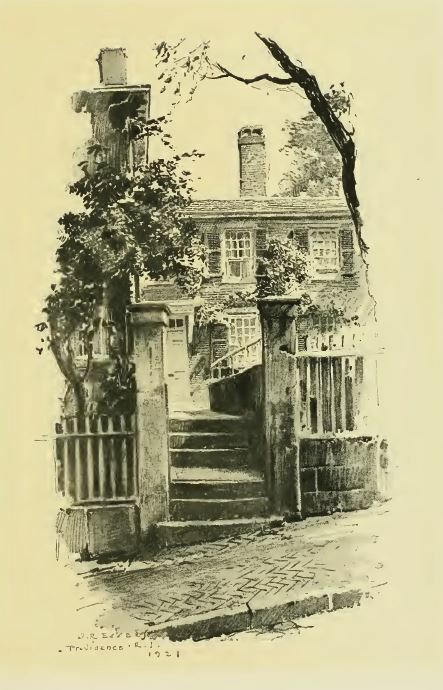 From Sketches of Early American Architecture by O.R. Eggars, 1922. I recently decided to replace my laptop because it had a few issues, and I wanted to make it our backup or guest computer. I was able to replace the laptop and connect it to two larger monitors (that I already owned) for under $400. Technology is moving along so quickly, I decided that in future I will replace my laptop every three years. Therefore, I didn’t want to spend much. Windows 7. I like it, and I’m putting off a big change until next time. A small laptop with a screen under 13 inches. I don’t bring the laptop many places (I tend to use a tablet for that) but if I want to pack it, I would like it to fit easily in a carry-on bag, and not weigh too much. 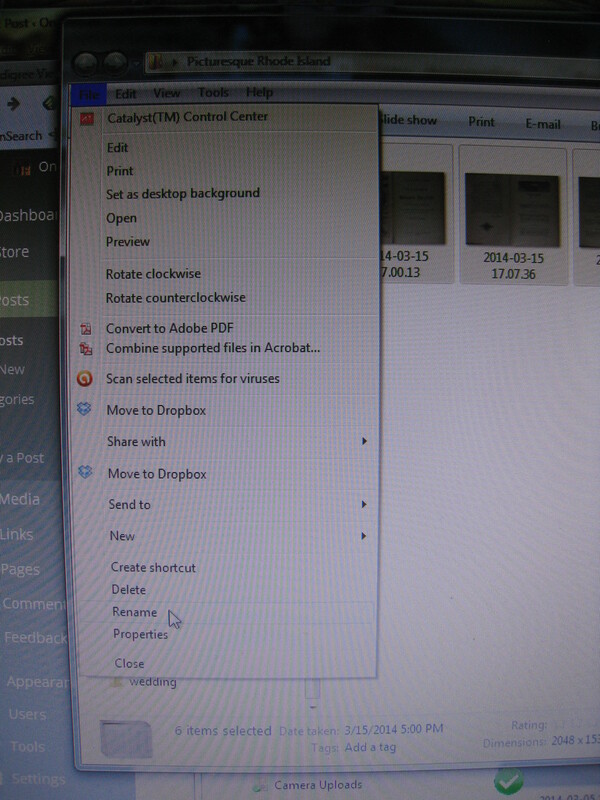 I chose an Acer Aspire V5-131 with Windows 7. The price was around $350. My plan was to use the laptop with two monitors, and a wireless keyboard and mouse. Once everything was set up, I would only touch the laptop to turn it on and off, and I would have two large screens to work on. The keyboard and mouse were the Logitech Wireless Desktop MK320 Combo ($23.99). After the setup was complete, the laptop barely shows behind the two monitors, and its screen was black. This is actually my old wireless mouse, pictured, but a mouse did come with the keyboard. No need to purchase monitors, because I had two. One was a $79 Acer monitor I purchased 2 years ago. It’s about 19 inches. The other is a Samsung 24 inch monitor that I bought last year on Black Friday for $99, quite a good deal. 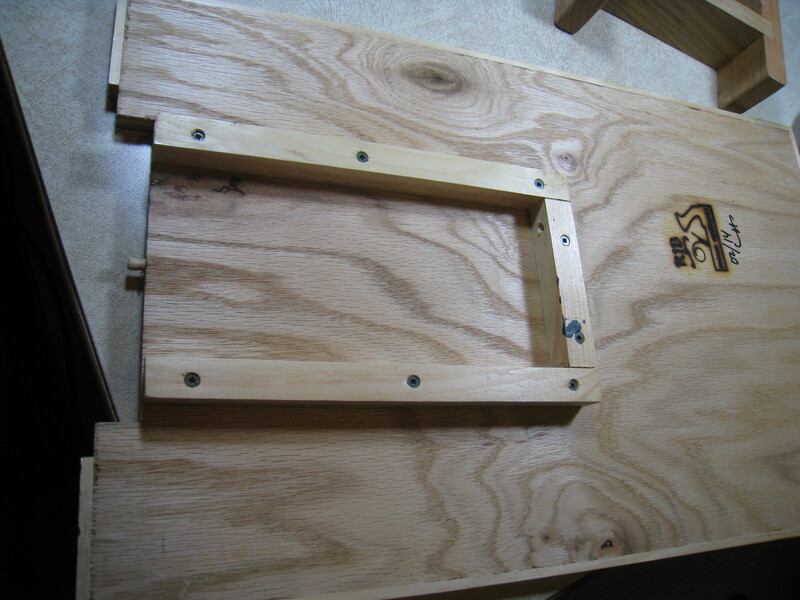 The first monitor plugs into the video slot. 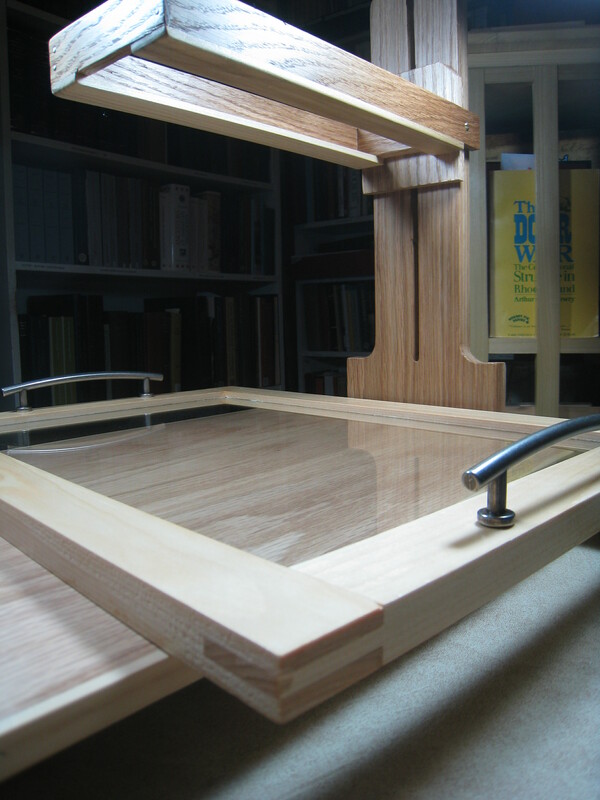 Control Panel –> Hardware and Sound –> Connect to a Projector. 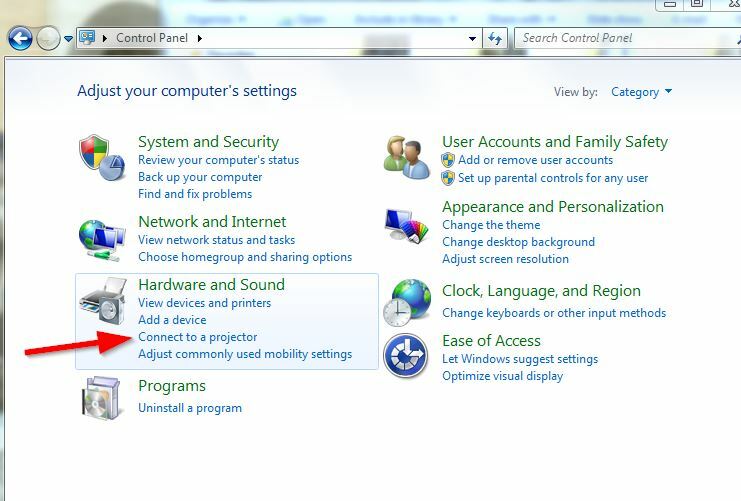 If I were only adding one monitor: On the screen that comes up, if I had wanted to use the laptop screen plus one monitor, I would choose Extend. When I was using Extend this way, the laptop was “display 1” and the monitor was to the right, as “display 2”. During the two years I used this, I raised the laptop up so visually the screen was even with the monitor, and I added an external keyboard at table level, since now the laptop keyboard was too high off the table. 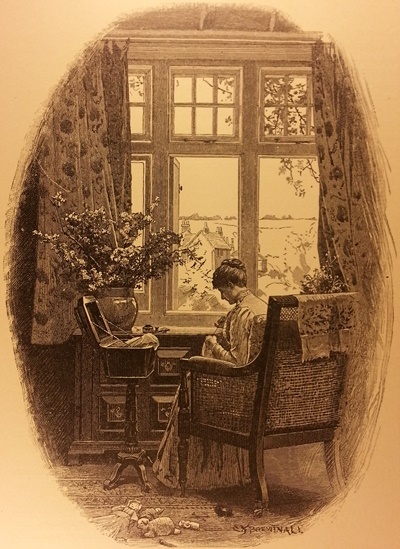 I have to give fellow blogger Carol A. Bowen Stevens some credit for that idea; we consulted each other on Facebook around the time we both were setting up workstations. 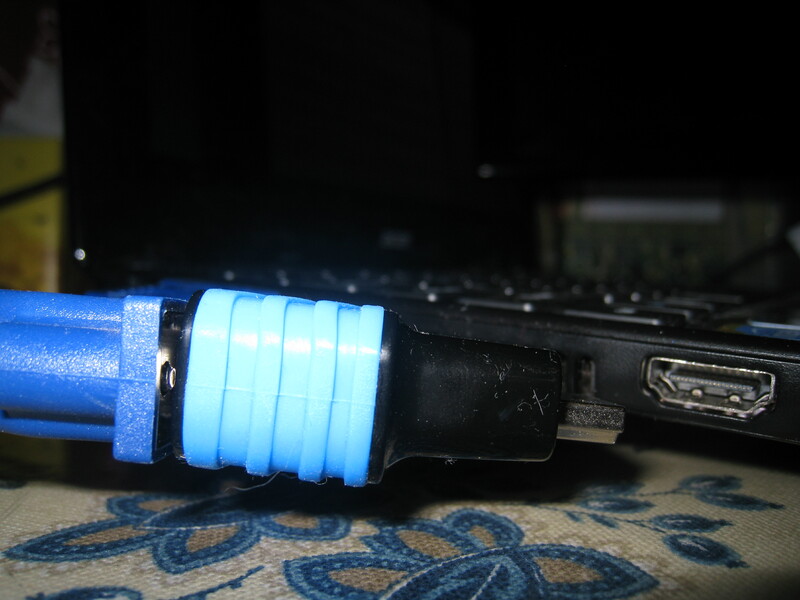 The video plug from the second monitor goes into the adapter, then into the HDMI slot. Note the HDMI slot has a funny shape – it isn’t a USB port. To hook up the second monitor: This was the part it took me a while to figure out (in fact, I bought the wrong adapter the first time around). The monitor comes with a video cable. But you have no place to plug that in. 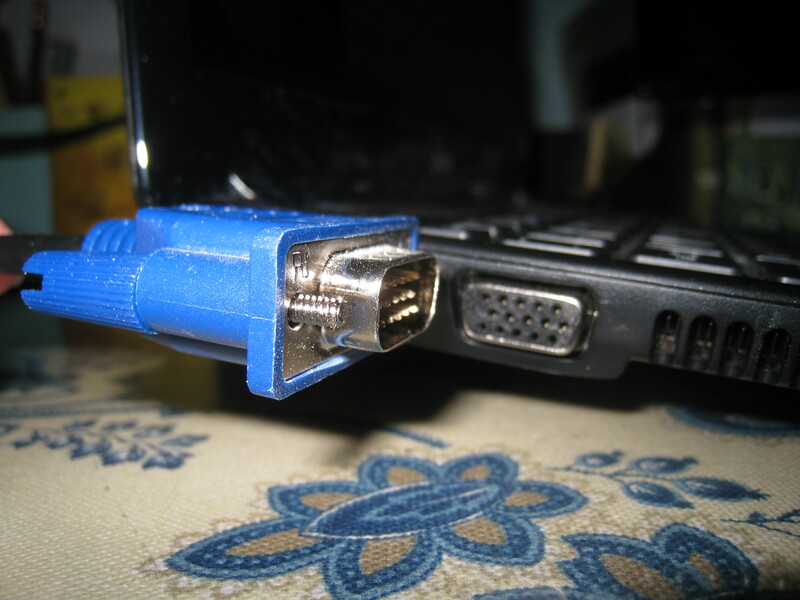 The answer is to get an adapter and plug it into the HDMI slot on your laptop. The adapter I got was an Active HDMI to VGA Adapter for $19.99. 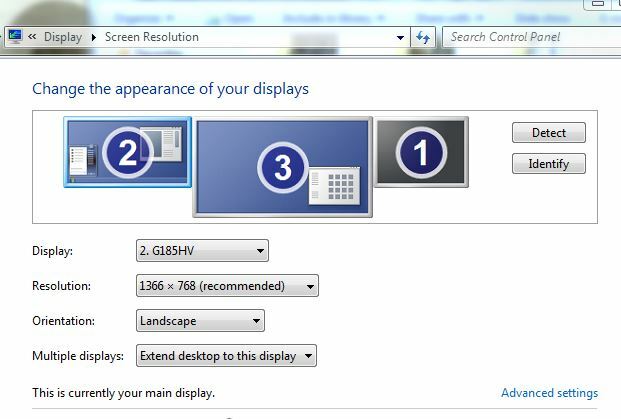 Screen Resolution settings also allow you to see the settings for each monitor unit, including the two monitors and #1 the original laptop screen, which is now black. 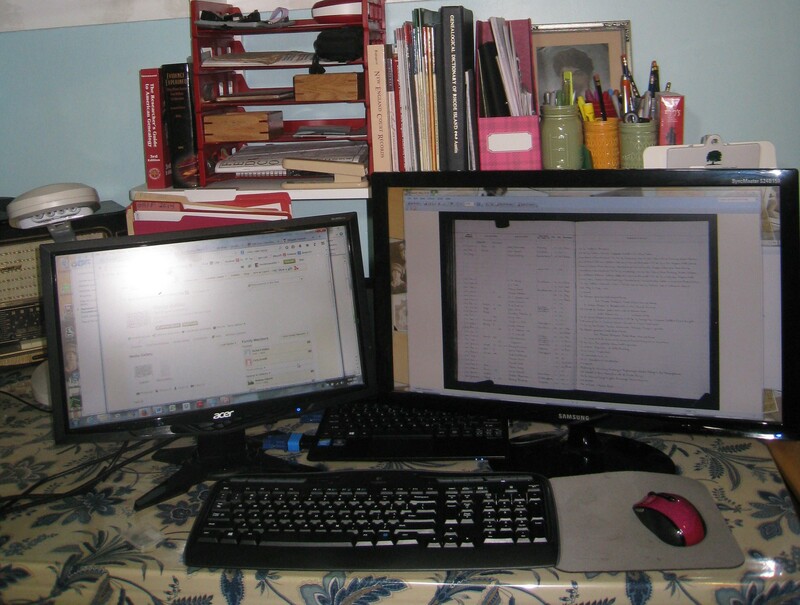 All in all, I am happy with my new laptop and my two screens. 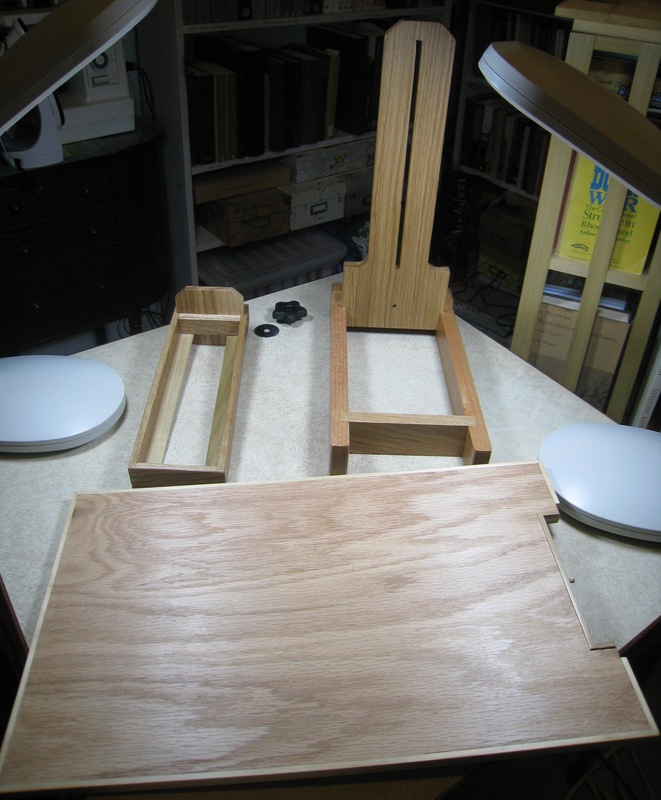 Someday soon I may change the 19 inch for a 24 inch, to match the larger one. But for now, I’m happy with it. If I want to take the laptop out of the room, I’ll just unplug these two monitors. Despite all the settings, if I unplug both monitors, the black screen of the laptop comes back to life. 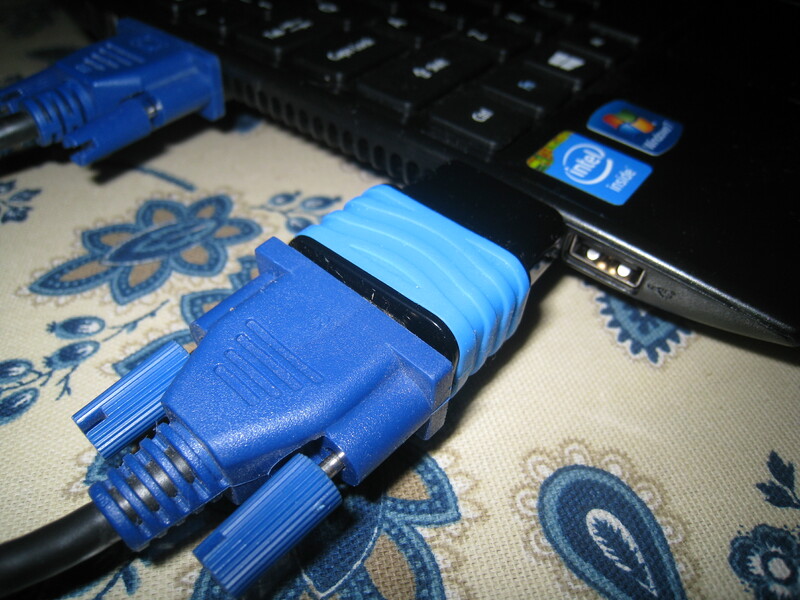 The two monitor plugs after setup. 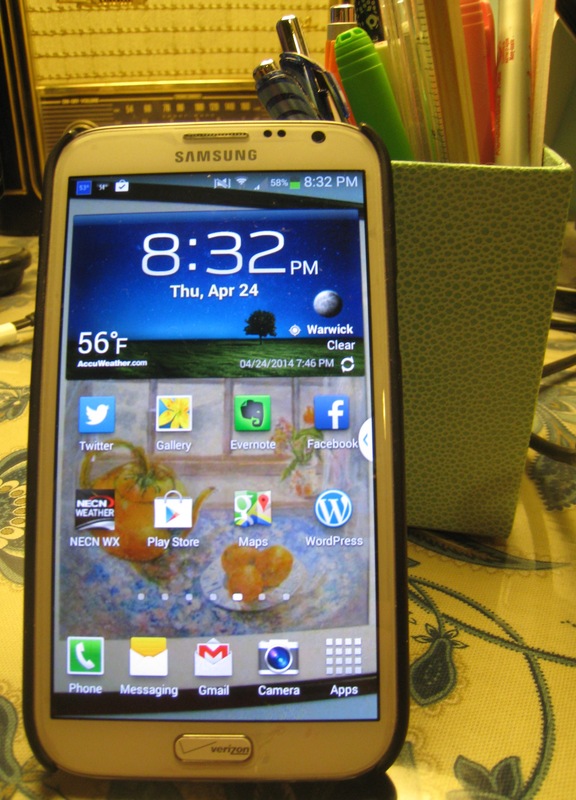 My Samsung Galaxy Note II is very useful to me in a lot of ways. 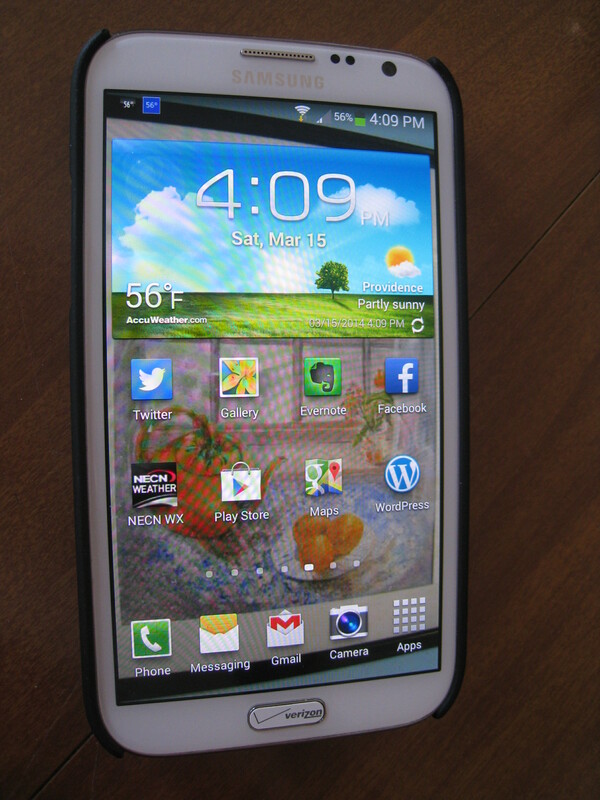 It’s an Android phone with a large screen. 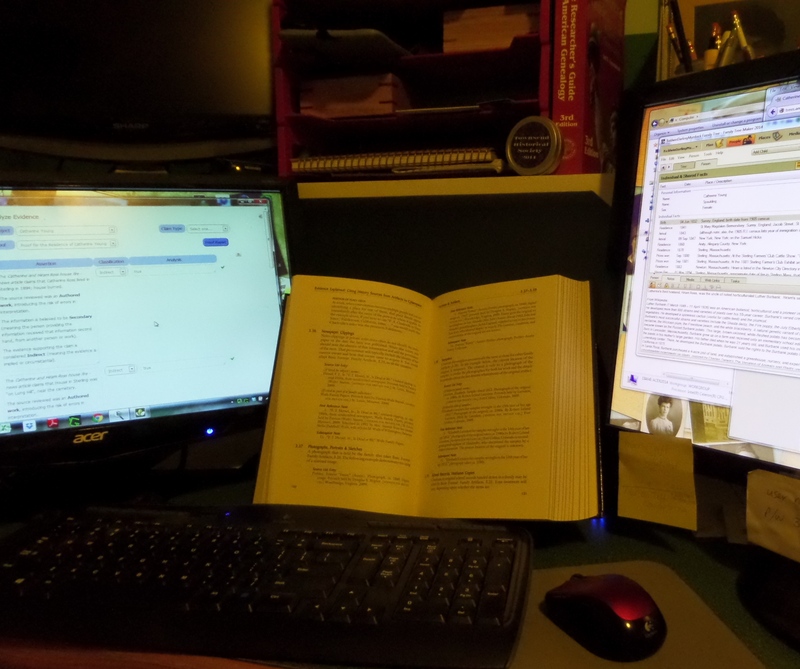 These are some of the ways I use it for genealogy, and perhaps others have useful tips to leave here also. 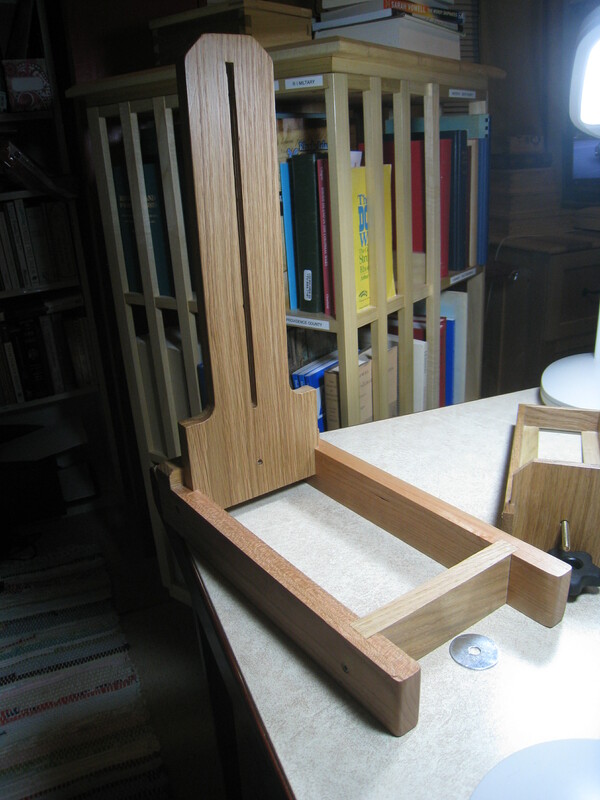 Midge Frazel dubbed this the “genea-phone.” I like that. Access my Ancestry.com trees. 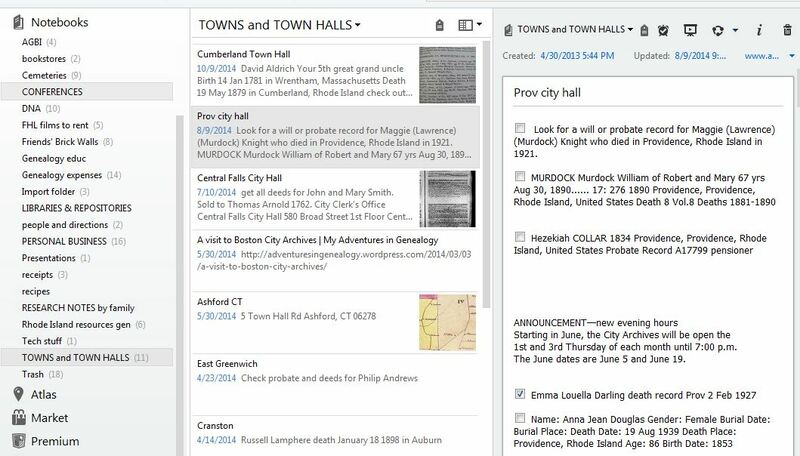 Anywhere I am – on a cemetery trip, in a library, meeting another genealogist, or just sitting around reading, I can access my Ancestry.com tree using the app on my phone. It’s actually quite full-featured and useful and contains all the documents you’ve attached to a person. I’ve been known to pull the car over in a neighborhood and click through all the way to an old census page, looking for an address. Use the directions feature on Google maps to navigate. If I’m going somewhere for the first time, like a cemetery or town hall, I set up the Google maps app to speak the instructions to me while I’m driving. This works pretty well for me. I hate to count on it though, because even with a reliable carrier, the signal can get out of range in a remote location, so I try to have some type of paper map, usually printed the night before OR a saved snapshot from the map site. 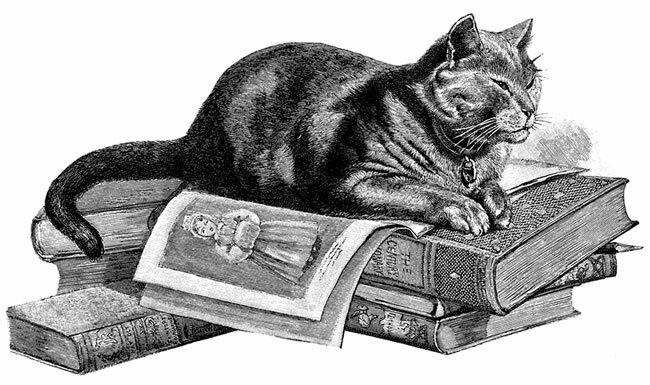 Scan books. 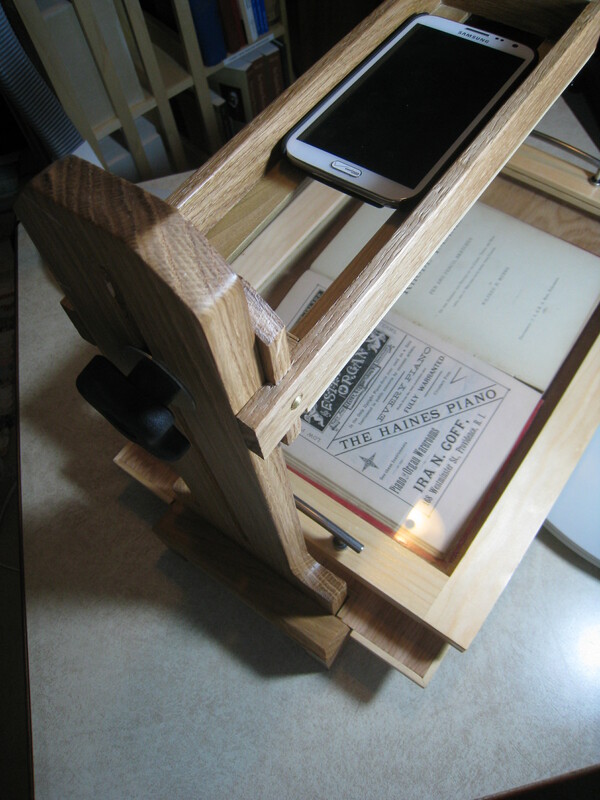 I had a post a while back about turning my cell phone into a book scanner. 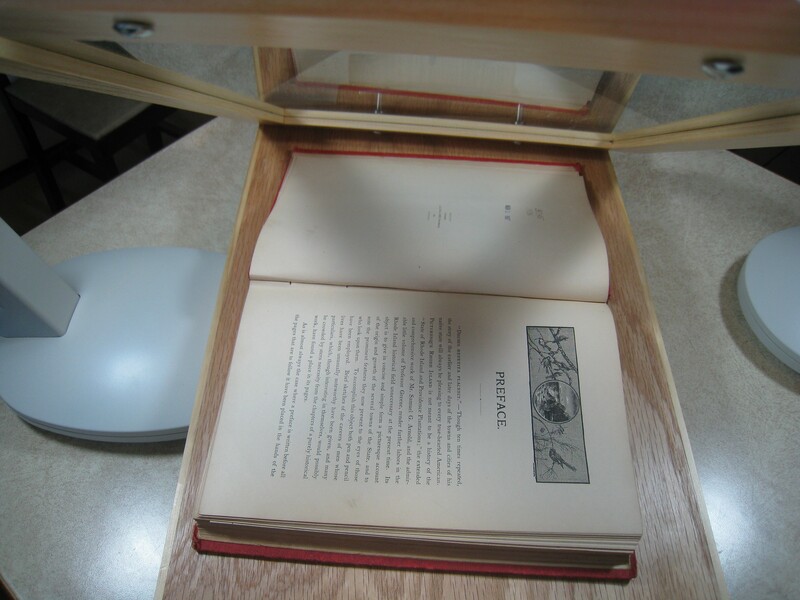 I find that the scanning goes amazingly fast, however, processing those pages into a set, checking for errors and regulating the size of the final document took some getting used to. With practice I should get pretty fast at that. 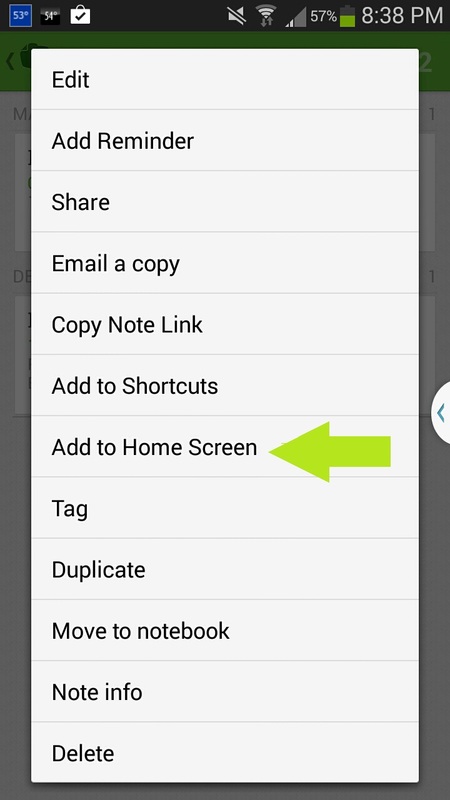 Many applications will pull up a “Add to home screen” choice for the particular picture or document you are on. Place directions or notes on the home screen when going to a repository. I use Evernote for all notes about repositories including directions, open hours, and my to-do list in each location. I find it helpful, in advance of a trip, to add the specific Evernote page I need to my home screen. 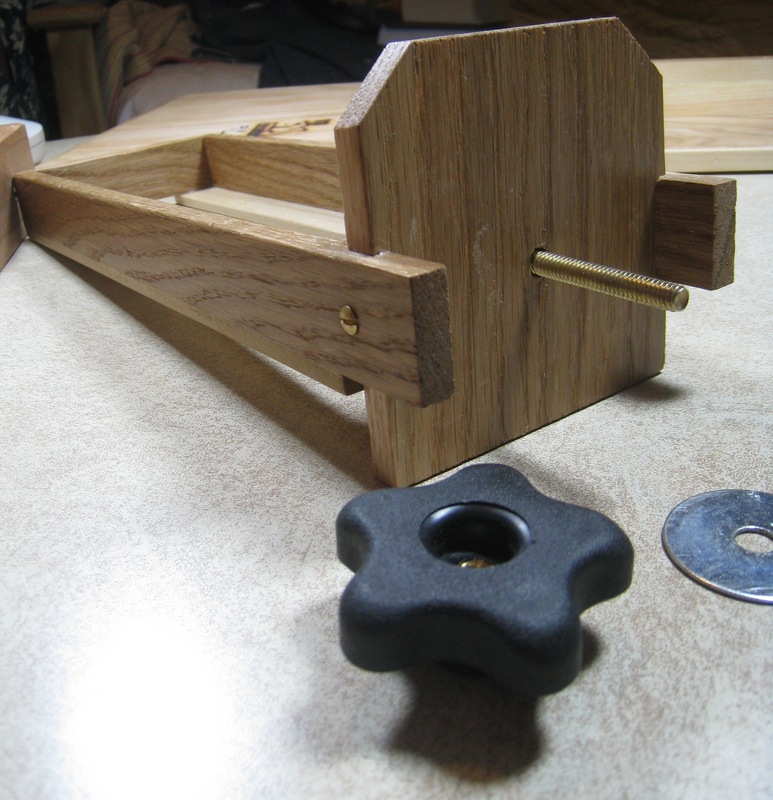 Then there’s less fumbling around. Use as a camera. Of course I usually bring my camera for a planned trip, but it’s nice to have a backup and emergency camera for times when I forget the camera or didn’t know I would need it. This is especially important because I never photocopy, I always take pictures. Cell phone cameras are getting better and better. When I get back to my computer, the pictures have automatically uploaded to DropBox already. Read books on the Kindle app. 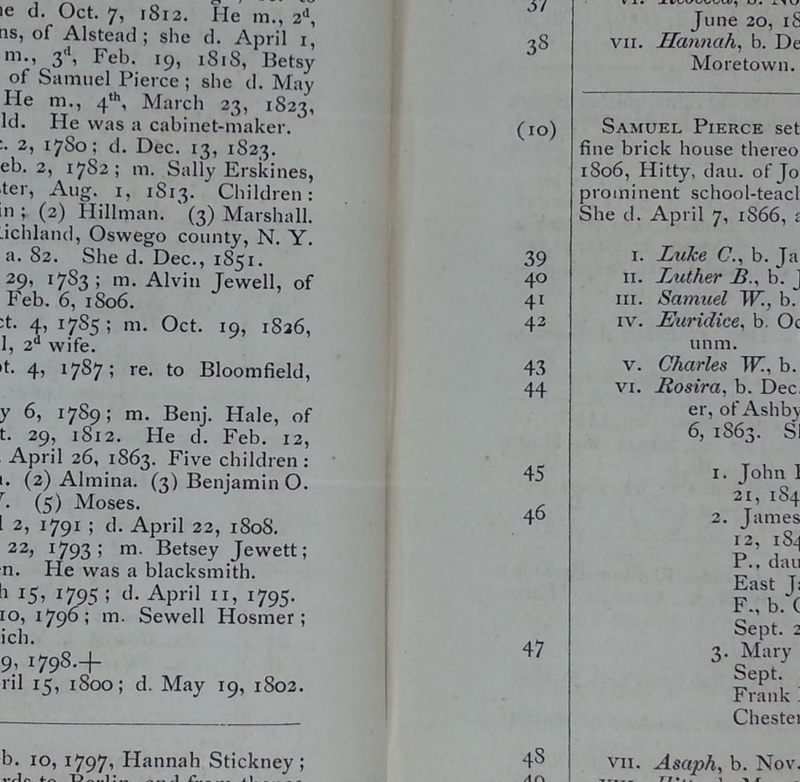 My phone is also a source of genealogy books in a pinch since the Kindle app works really well. Waiting in a doctor’s office or waiting to pick someone up, it’s great to spend 15 minutes reading. My Dropbox account is very simple. Access documents anywhere. 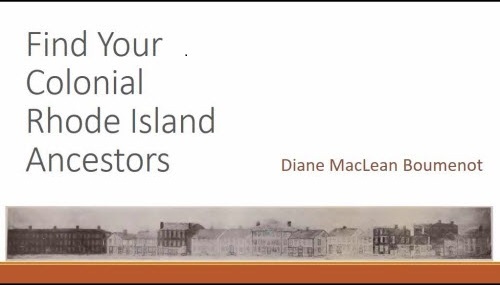 Like all genealogists I have a large collection of pdf books and all types of documents on my computer at home. 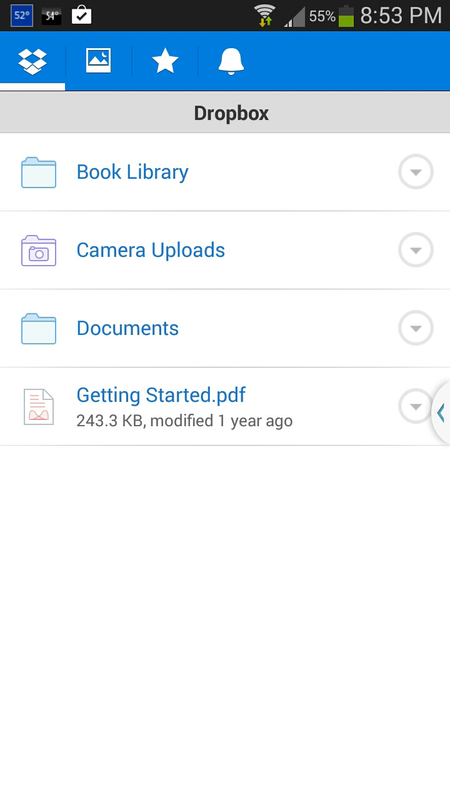 Through Dropbox, I can access them at any time through my cell phone, tablet, or another computer. I had a bad experience early on with Dropbox, but Dropbox and I started getting along a lot better when I limited my Dropbox account to just three folders – my book folder, my document folder, and my cell phone picture folder. 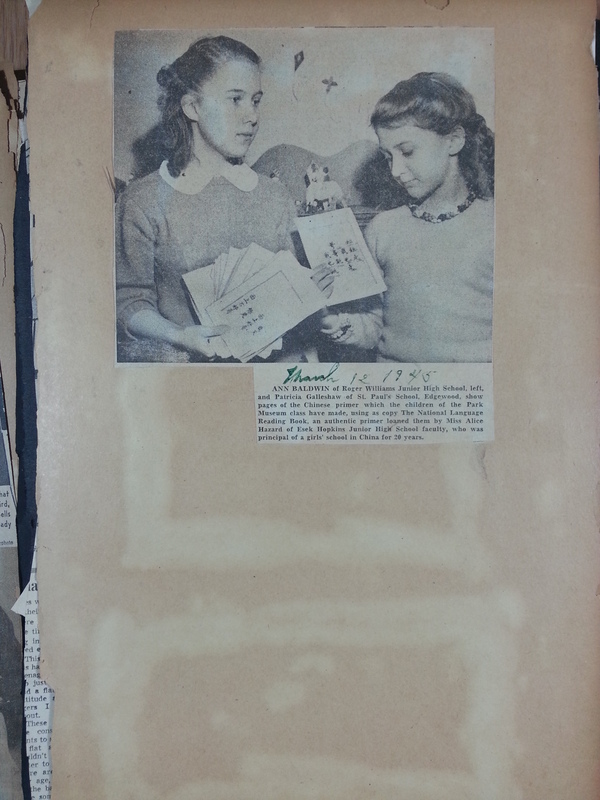 It’s not unusual for me to be out at a library, say, and want to see a deed I had photographed a year before. I do pay for a large-size Dropbox account. Knowing that my work is safe is very important to me. Use the Amazon app. I tend to use libraries as a way to preview older books I might like to own. 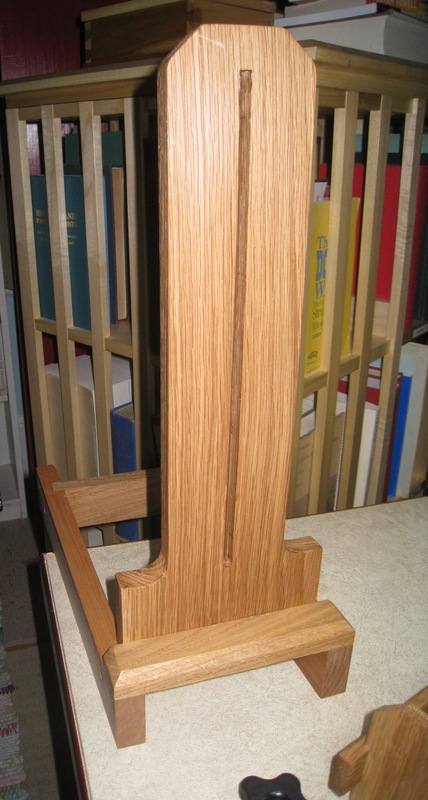 This is especially true since most reference books do not circulate, or I may be visiting a library far from home. Using the Amazon app, I quickly track down the exact book and see what used copies are available, and often buy them right there. 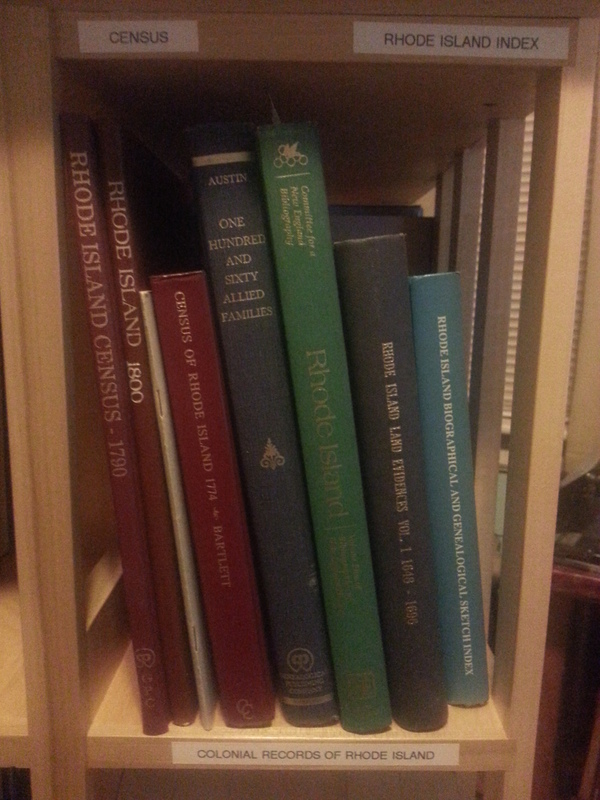 There are numerous pictures of my book shelves in my phone, for checking whether I already own something. I keep track of the books I already have at home by photographing each shelf regularly, so when away from home I can quickly find the shelf picture, zoom in and make sure I don’t have it. Keep up with podcasts. 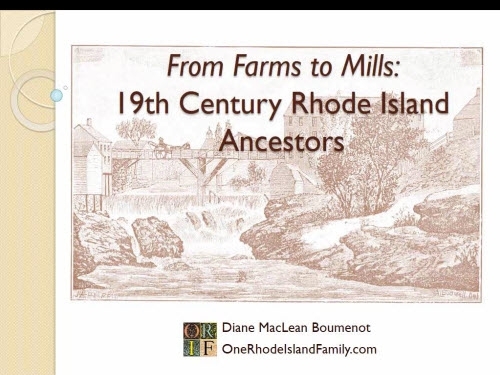 I use long drives as a way to catch up on all my favorite genealogy podcasts like Marian Pierre-Louis’ Fieldstone Common, or The Genealogy Guys. I have a simple little cord that plugs my phone into the “AUX” plug in my car, allowing me to hear the show on the car radio. I also try to plug the car charger in so I don’t wear down the battery. When the keyboard is displaying, you can change it to a microphone instead. This is the one you won’t really believe. I actually transcribe long documents using my cell phone. 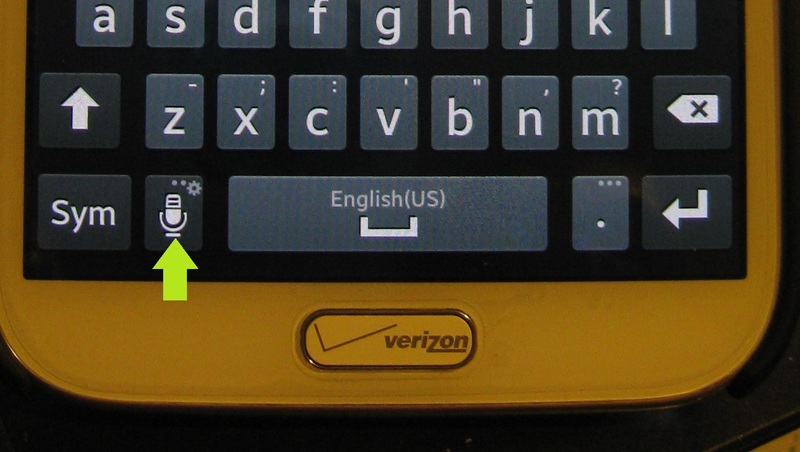 I discovered this by accident, really, noticing the little microphone every time I typed an email on my phone. I tried dictating the email message instead, and it worked beautifully. It is not quite so perfect transcribing old documents, but useful enough that I prefer it to typing. I dictate slowly and clearly into a gmail message (you need to speak the punctuation, like “comma”), then email it to myself and pull it up on my computer. 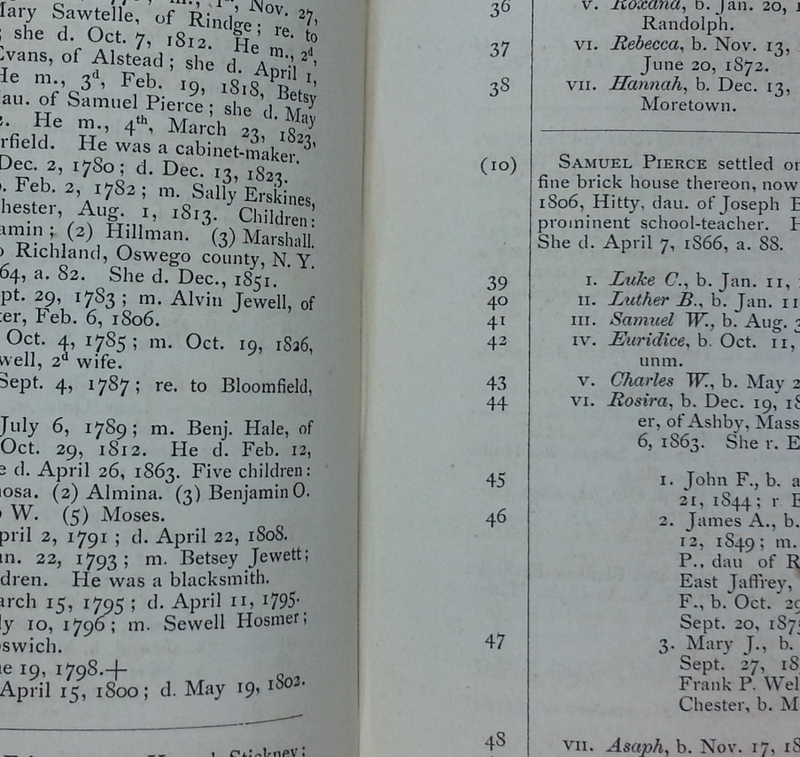 When working on a court case from Vermont, 1816, I read the entire record aloud in about a half hour, then corrected it. 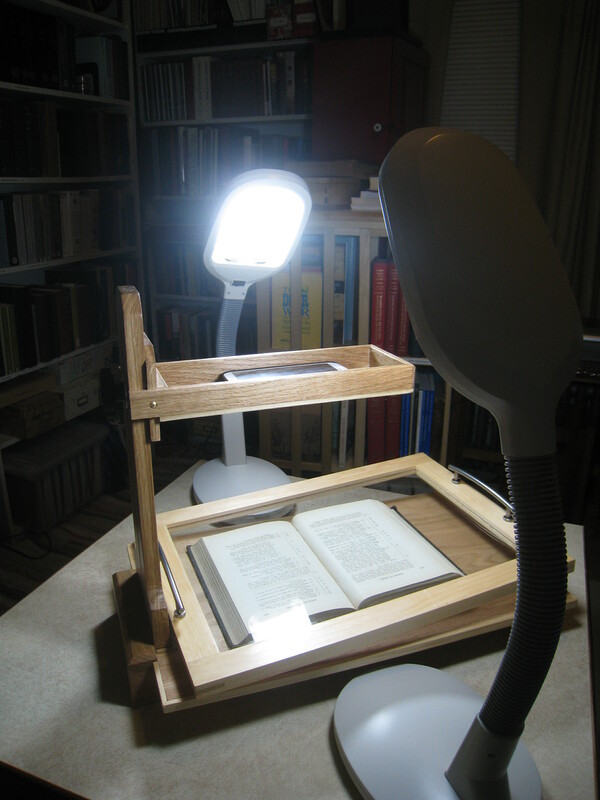 I’m sure others have far more sophisticated set ups for this, but it works for me, and it’s free.